The Strafe Pyramid Jacket assumes you're the type of skier who pushes the limit and doesn't hesitate to hike for 30 minutes to set first tracks or skin for 3 hours for a single run in blower goodness. Built from highly breathable AND highly weather resistant Polartec® NeoShell® fabric, the Pyramid backs you up when you're far from instant rescue by patrol but feel the need to push on. Thumbhole Cuffs | Polartec® Power Dry®  Created to give base fabrics greater efficiency, more dependable wicking properties, faster dry times and better overall performance. 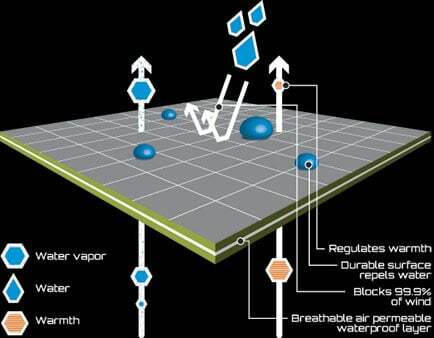 Polartec® NeoShell®  An engineering breakthrough for waterproof breathable fabric technologies. 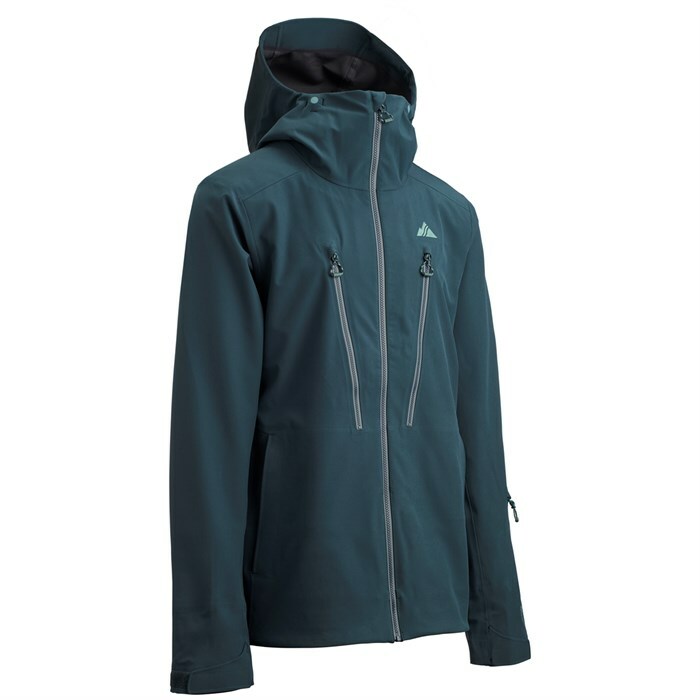 Dynamic air exchange at the surface provides the unrivaled ability to stop water and wind permeation without restricted the release of excess body heat and moisture vapor. This highly aerobic air permeability provides the unique benefit to function as a durable protective shell with advanced wicking cap. Standard Fit  Not too tight, not too loose. Fits over base and mid-layers without restricting movement.